Why bother putting up tomatoes when you can buy a 28-oz. can for $1.89 and no effort? Put up a couple boxes of tomatoes, pick my neighbor’s plums so they don’t go to waste or spend a Saturday morning stocking up at the Farmers’ Market and there’s a good chance I’ll be met with exclamations about how much effort that must have taken. I even feel dogged by the effort involved, even though I like it. The underlying assumption, of course, is that work = undesirable. Convenience is king is our world, so things that aren’t convenient must be things we want to avoid. 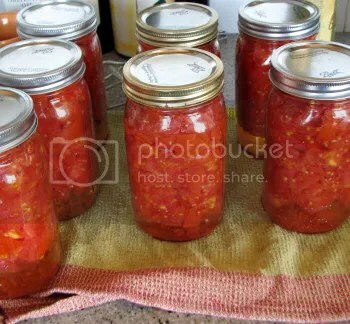 Given that assumption, how can we possibly feel ok about picking tomatoes, then canning and eventually cooking them into a dish when there is a machine that can make cans of tomatoes for $1.89 each? As for me, I like being “an active participant in my own survival,” as I like to say. It’s deeply rewarding to know I did something that directly improves my ability to thrive and be well on this planet. And anyway, if I took advantage of machine-made canned tomatoes and got some extra time, would I spend it in a way that’s nearly as good for my health, well-being, joy and fun? Somehow, I think I might just default to more screen time!